For Abeje and her brother Adunbi, home is the slave quarters of a Caribbean sugar plantation on the Island of Martinique. Under the watchful eye of their mother they survive, despite what threatens to break them. But when one night of brutality leaves the two children orphaned, it is the strength of their extraordinary bond that carries them through, establishing a legacy of tremendous spirit and courage that will sustain the Rougeaux family for generations to come. In literary prose, award-winning author Jenny Jaeckel creates a brilliantly imagined epic, weaving a multi-layered narrative that celebrates family as much as it exposes systemic brutalization and the ways in which it marks us. As each new member of the family takes the spotlight a fresh piece of the puzzle is illuminated until at last, spanning nearly two centuries, the end brings us back to the beginning. Jaeckel masterfully blends genres of mysticism, coming-of-age, folklore, and historical fiction with explorations of gender and race, creating a wondrous tale of hope and healing through trauma. 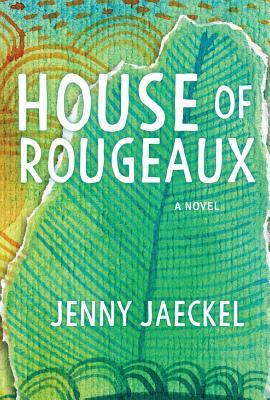 A relevant work of love, determination, and the many small achievements that make up greatness, House of Rougeaux draws a new map of what it means to be family. Jenny Jaeckel has worked as a translator, Spanish teacher, graphics teacher, and an editor. She is the author and illustrator of For the Love of Meat, Siberiak, and Spot 12. She lives in Victoria, British Columbia.